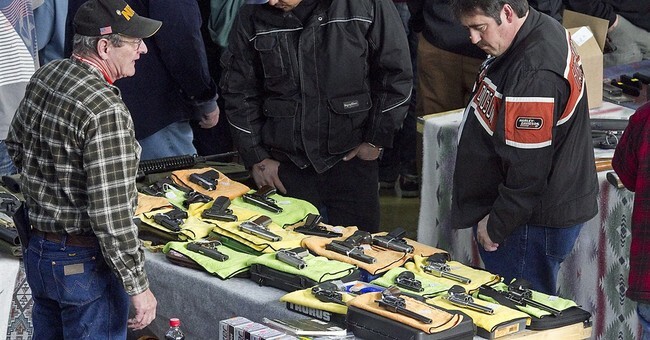 Did Mark Kelly commit a felony at N.Y. gun show? Probably not. 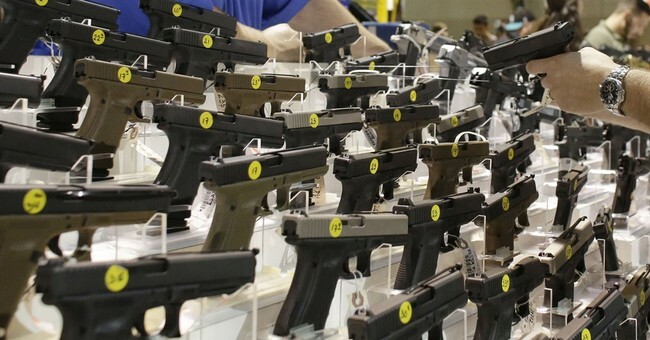 Unemployed astronaut turned gun control advocate Mark Kelly of Americans for Responsible Solutions (ARS) was enjoying a public relations stunt at a gun show with his wife former Congresswoman Gabby Giffords and New York Attorney General Eric Schneiderman when he picked up a revolver. There are a number of folks who think that Kelly committed a felony under New York State law by picking up the gun without a valid pistol permit, but they need to read the law in question. While I can’t precisely identify the specific revolver in his hands, I rather strongly suspect that it is classified as an antique, and therefore exempted from this law. As much fun as it is to hoist gun grabbers on their own petards, it looks like Kelly is in the clear on this one.